Creativity, knowledge, exercise, and recreation. 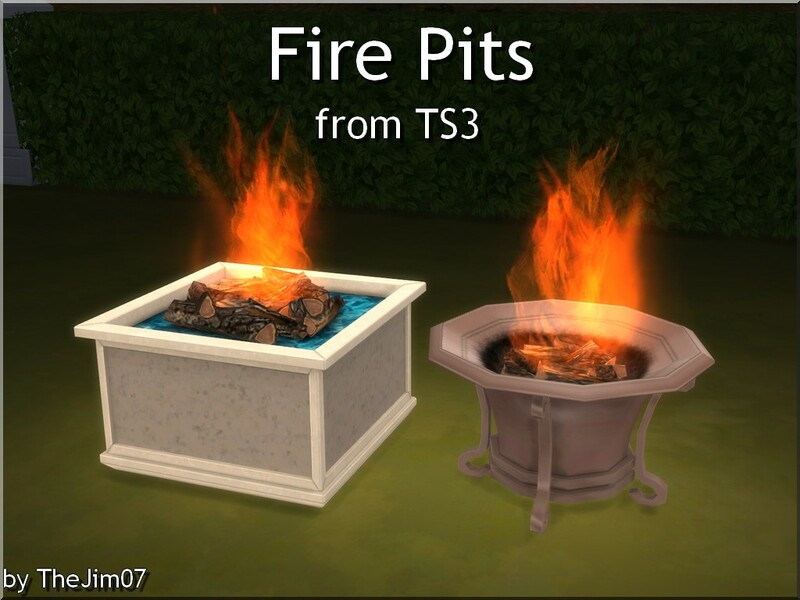 I converted these two fire pits from TS3. They work like firecamps. I appreciate your work so much. It is fantastic to have some of my favorite TS3 pieces, with far better design than most TS4 furniture and decorative objects. Thanks so much for your conversions! I loved the firepits from S3 and will work great in my sims' yards, much better than the campfires. Thank you these fire pits they are very beautiful!